Once in a while, a scenario comes into the OS mailbox which illuminates a shaving or two of civility that somehow still exists in our game. 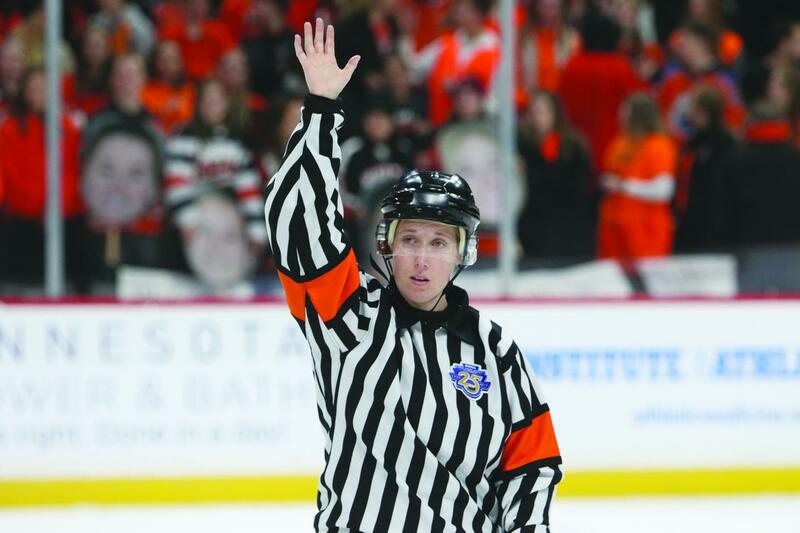 As a veteran Level 3 official at the age of 60, I’ve seen a lot of scenarios that have resonated with me, yet none more so than last week’s high school state game which I was lucky enough to work with an experienced, young ref who I consider a friend and would probably have never met if not for hockey and officiating. I’m a 60-year-old father of successful daughters, so when I meet women who officiate hockey, I’m so very proud of their accomplishments. In fact, my partner on this particular game was a woman, and her life lessons continued for me and others that evening. During the contest, one player, a 15-year-old, told my partner to stick to woman’s hockey. “That’s where you should be,” blurted out the teen, at which time he found himself glaring down the barrel of a progression that ended up with him being sent to the locker room. My partner quickly recounted the event to me as we rehashed the penalties and completed our paperwork on the way to the referees’ room. A couple of minutes later, “knock- knock,” on the door. Amazingly, it was the coach along with his player coming to issue an apology to my partner. As a father of two daughters, I sat there smiling and brimming with pride as I watched this young lady hit the nail on the head in her response. Yes, she, along with the young man and his coach enjoyed the benefit of such a very important teachable moment. OS, please consider publishing this as we don’t see it often.